Watch the video before reading further. That man, to this day, has been unidentified. He was likely killed. He was also an everyday man. There was likely nothing special about him, until he stepped in front of that long line of tanks (it was Quite long!). I meant to write this post last month but I’ve noticed something in the meantime, that I hadn’t noticed 1 1/2 months ago…. 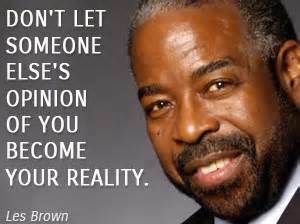 It seems to be much easier for us to idolize people we don’t know, to put strangers up on a pedestal. We don’t seem to think too highly of people we’re familiar with – an extension of our view of ourselves – compared to the accolades we’ll give to those unknown to us. Please ponder this before you trash my theory. As I said I only made this realization recently. I became a certified life coach yet have had no one come forward and let me coach them, despite the good advice I give out when asked – though never followed. Only ONE person who knows me has read this blog. Only one. Because they know me they must figure ‘What could she possibly know? How smart could she possibly be?’. It seems no one is impressed with engineering these days ;-) I get underestimated ALL THE TIME. Perhaps you do too? Perhaps you underestimate yourself? I can guarantee that’s a given. 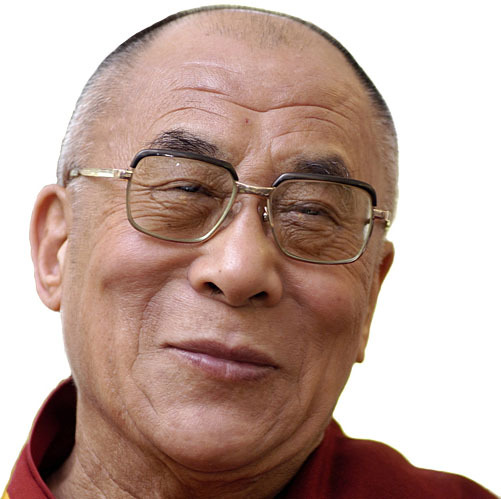 Everyone knows this man; the 14th Dalai Lama. But until he was discovered at 2 years old he was just little Lhamo Thondup. A simple test determined his fate; to remain Lhamo Thondup or become the next Dalai Lama. If he hadn’t picked the correct toys we would be bowing to another as the Dalai Lama. Does he feel he’s special? No, he describes himself as no different from you or I. The face of an angel masquerading as a social worker during WWII in Warsaw, Poland. She saved the lives of over 2500 Jewish children, smuggling them out of the Nazi controlled territory. She did what she felt she had to; she wasn’t looking to be labelled a hero. In fact I believe we only know about her and her heroic acts because of a student’s school report. She’s just one person who realized what power she had at a time when power meant the difference between life and death. Luckily we don’t live in those harsh conditions, at least not here in North America, but we all have the capabilities and power to still be heroes in our own rights. The history books are full of people who have done Wondrous things. The history books are also NOT full of many wondrous people and their deeds; the work of many courageous individuals go unreported and unknown. We are ALL capable of so much more than we realize. We can do SO much more than we realize. 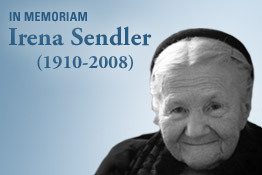 If Irena hadn’t been a social worker in Warsaw during WWII would she have been less of a hero? No. She was the person she was. Period. Whether she made it into the history books or not she would have still been great. Tank Man wasn’t planning on pulling his death defying stunt; he was carrying shopping bags for heavens sake! Why do we expect so little of ourselves, see so little greatness there, yet put others up on a pedestal? Only once they’ve proven their right to be there, of course.